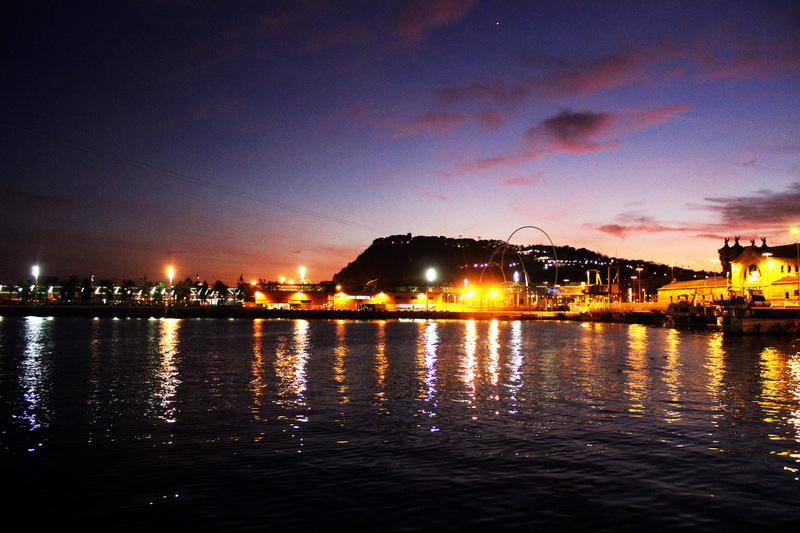 Catalunya’s largest port is divided into three sections: Port Vell (Old Port), the industrial port, and the Free Port. 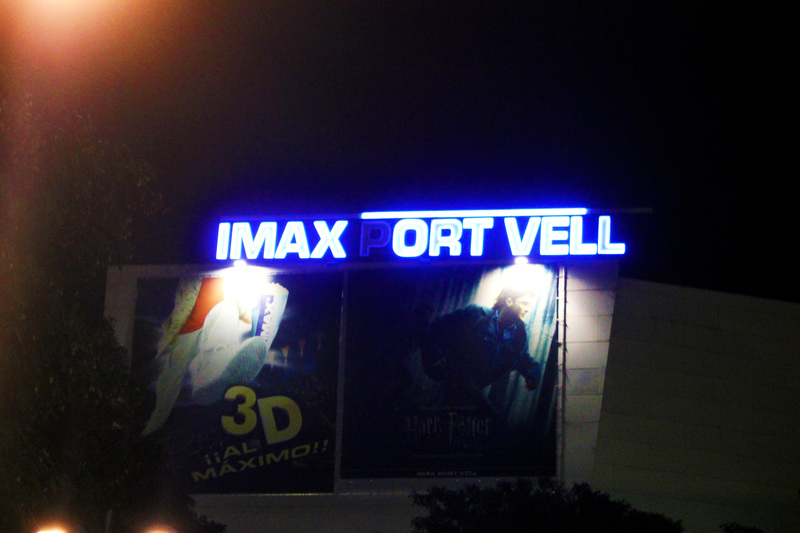 Port Vell is by far the most popular zone, and the one most worth visiting. 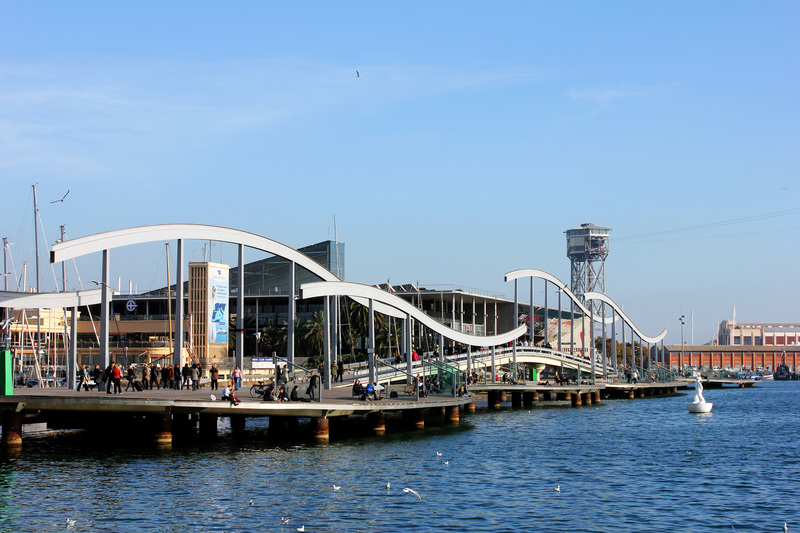 Port Vell has got a lot worth seeing, including some nearby museums and monuments. 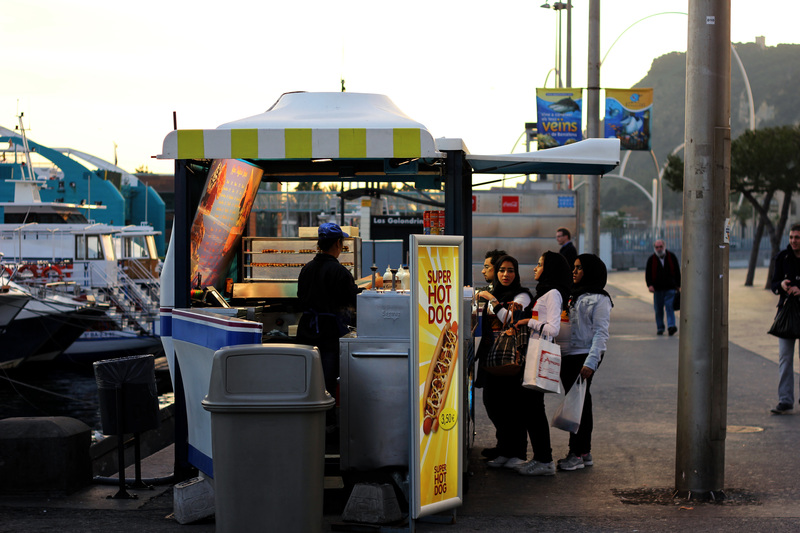 Food carts line the port as well, so feel free to indulge in some unhealthy on-the-go snacks. 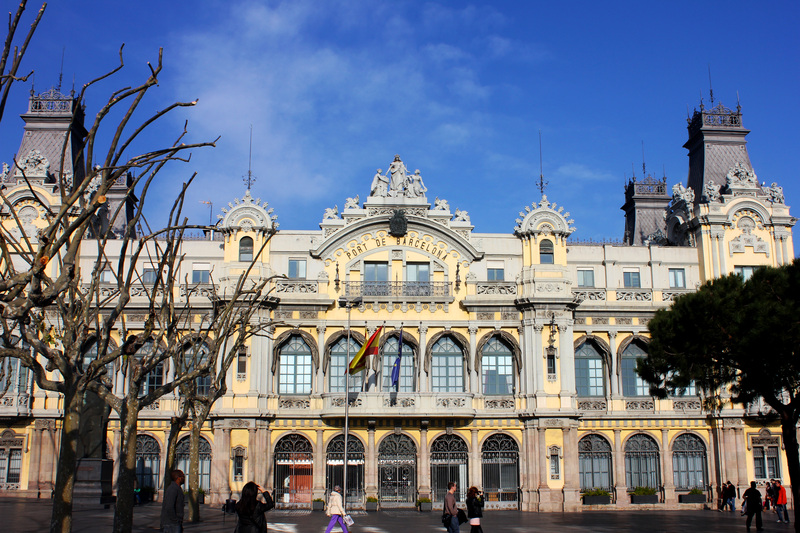 The port’s most iconic feature is the Rambla del Mar. This stylish walkway bridges the city side of the port to the central area, where there is a shopping mall, restaurants, and even an IMAX theater. 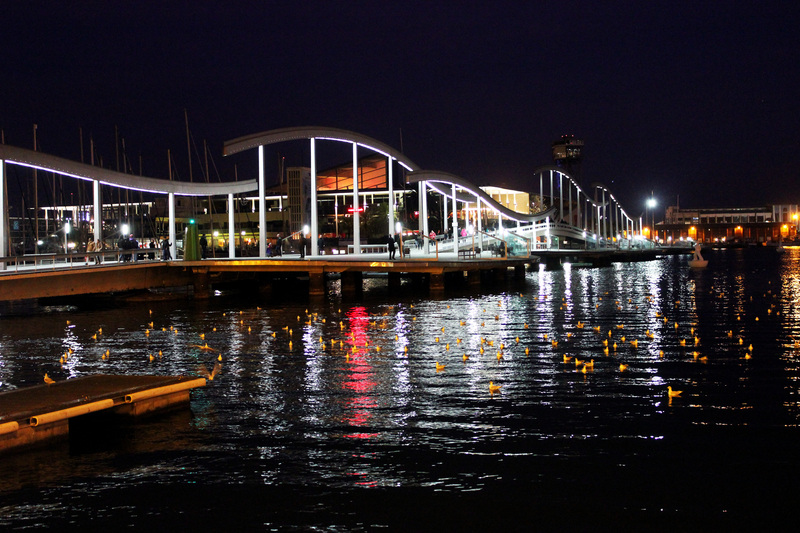 By night, Port Vell lights up, welcoming both tourists and locals for a relaxing hangout, romantic night by the sea, or a good ol’ fashioned Barcelona-style skateboard session. This entry was posted in Barcelona, Spain and tagged barcelona, catalonia, catalunya, europe, port of barcelona, port vell, rambla del mar, spain, travel by Babak Haghighi. Bookmark the permalink.